One of Virginia's greatest of all-time makes this list for almost doing the impossible. In 2007 Rachel Butler single handedly finished 3rd in the AAA State Championships... team competition. That performances and her stellar range of talent puts her as one of the greatest in our state's history. Rachel Butler, who ultimately went to University of Nebraska, was Felecia Majors before it was cool to a multi event specialist. In her senior year she became so versatile that she scored in a staggering 10 different events both indoors and outdoors. 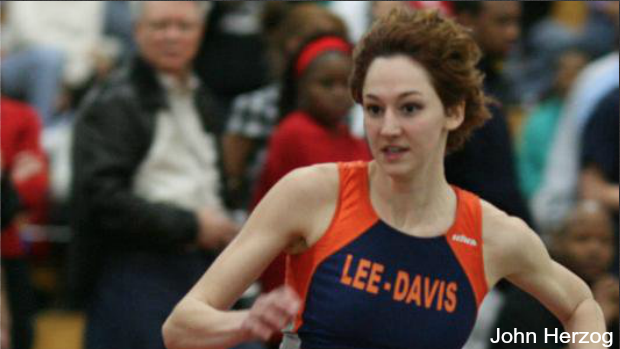 Indoors that year (2007) she finished 7th in the long jump, 8th in the 300, 4th in the 55H, and as state champion in the triple jump. She tallied up 18 team points and finished 11th. Outdoors though she was blessed with the second hurdle event. That allowed her a real chance to make history. Remember though that back in 2007 it was still the AAA and that meant qualifying rounds for nearly every short event. Here is what her two days looked like. After all of those rounds, against what essentially today would be all of 6A, 5A, and 4A she was still abel to finish the meet ranked third amongst the teams. She also won the triple jump and had a weekend of PR's in the TJ, LJ, and 300H. Though her stats alone put her into the conversation, it was that performance and her indoor performances that pushed her into the list of Virginia's G.O.A.T.